Pneumonia is the infection of the lings that was extremely dangerous for children in the past, but there are many options available to help prevent and treat pneumonia nowadays so the recovery is easy with proper medical intervention. The types of viruses causing pneumonia are influenza virus, respiratory syncytial virus, adenovirus, adenovirus, and parainfluenza. Pneumonia can also be caused by bacterial infections. The virus or bacteria can be spread from one person to another through direct contact with the mucus or saliva of the infected person and via coughing. As contrary to the popular belief that pneumonia can be caused by improper clothing or air temperature, it is more common during fall, winter, and early spring when children spend more time indoors in close contact with other people. When it comes to the signs and symptoms of pneumonia, they include fever, coughing, fast and labored breathing, sweating, chills, wheezing, widening of the nostrils, and bluish tint of the lips or nails. Chest x-ray is needed to determine the extent of lung infection. Coughing is necessary so your child can clear his lungs for excessive secretions so avoid giving your child over-the-counter cough suppressants such as dextromethorpan or codeine, and viral infection does not need any specific treatment other than fever control and rest. It is important to follow the exact dosage of antibiotics prescribed by the pediatrician and never discontinue even if your child feels better to prevent recurrence. 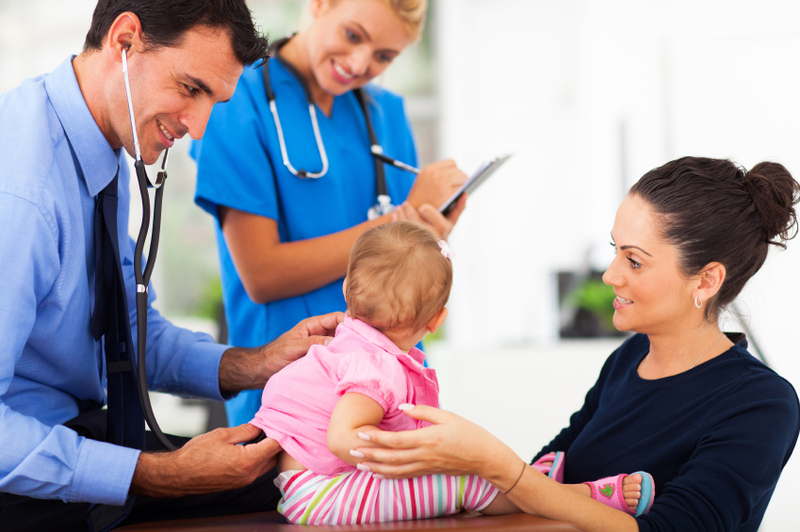 It is important to have your child checked by a pediatrician as soon as you are suspecting pneumonia. It is crucial to check back with your pediatrician if your child manifests any of the following signs and symptoms: fever lasting for more than a few days despite antibiotics intake, breathing difficulties, or evidence of other body part infection (swollen joints, neck stiffness, bone pain, and vomiting). Prevention is better than cure so have your child vaccinated against pneumococcal infections. The administration of pneumococcal conjugate or PCV13 is usually at four, six, and twelve to fifteen months. From 24 to 29 months of age, children who are at a high risk of developing an invasive pneumococcal infection such as those children with sickle cell anemia, heart disease, lung disease, kidney failure, organ transplant, or HIV, must be vaccinated with pneumococcal polysaccharide or PPV23. Learn more about pediatric health on this website, and get to know the Pediatric Center in New Jersey providing providence childbirth classes. Come and check their other details here. Our children are precious to us, so we have to take action right away if we suspect them having any medical condition such as pediatric pneumonia, and let this be a resource guide for you. Always remember that the Pediatric Center is always available to help you.